DEDICATED TO HELPING YOU EVERY STEP OF THE WAY! Didn't Find Answer You Were Looking For? Contact Us. Do you have a computer in stock? 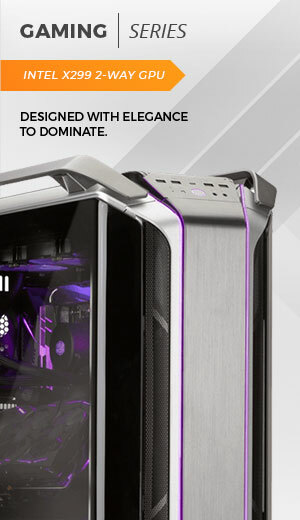 Since all of our computers are specifically built for each customer, we don't keep pre-assembled systems in stock. All of our computers require assembly prior to shipment. Do you have a component in stock? To avoid negative shopping experience, we at AVADirect highly recommend to verify product availability before placing your order. The availability information is present on the product pages and additional details can be found by clicking the Question Mark bubble for each. I'm not sure what works together. Can you help? Absolutely! Our configurators are updated consistently to ensure every part listed is compatible for that build. Even with that in place, we still verify each order after it's been placed. If you'd like some advice on choosing your specifications, use the Contact Us button to tell us what you'll be using the computer for, and we will provide you with our recommendations. Looking to add a part we don't have listed? All of our custom configurators are updated on a constant basis to provide as many compatible options as possible. If you don't see a part listed that you'd like to add to your new computer, just hit the Contact Us button and let us know! We'd be happy to research the compatibility and provide you a customized quote. Do you offer Linux on your computers? Yes, we do. We offer multiple Linux options, however these must be approved on your configuration prior to checkout by one of our technicians. Why can't I select Linux when building a PC? Since Linux is an open source operating system, there are a lot of hardware options that are unsupported. If you'd like to have Linux loaded onto your build, use the Contact Us form to let us know. This will allow us the time to research the best option. Overclocking is the process in which we configure your Processor and/or Video Card to operate faster than it originally would have. Each and every component is different, which is why we allow for a certain percentage of increase. We are legally required to collect sales tax in Ohio and California. If your order is being shipped to one of these states, it will include sales tax. If you are a tax exempt organization, please use the Contact Us button for assistance. We will ask you to fax or email us a copy of your tax exempt certificate, after which we can remove the tax from your order. Need to add special instructions to your order? This is easily done by using the Order Instructions box, located on the right side during Checkout. This information is attached to your order and seen by every department, to ensure it's taken care of for you. We offer multiple shipping methods which are calculated during the checkout process. You can check the price by using the "Estimate Shipping" button while in your cart. After payment is processed most orders take approximately 10-14 business days before stock is procured, the product is assembled, tested, and then shipped. Liquid cooling, mining configurations, backordered items, and bulk purchases will take additional time. Transit time from our location to you depends on where you're located and which shipping option you've chosen. If you ordered a custom computer or notebook, then yes. Unfortunately we're not currently providing pick up services for individual parts or Quick Ship notebooks. Can I come into your location and pick out a computer? At this time, we don't have display models to come in and check out. All of our options are listed on our website, and if you're having trouble deciding, just use the Contact Us form and we would be happy to assist you. What is the Credit Card Authorization Form? The Credit Card Authorization Form (CCAF) is similar to signing a credit card receipt. This form is designed to prevent credit card fraud and keep your sensitive information safely on file. If an individual were to have stolen your credit card information, and submit an order with AVADirect, this form would prevent them from doing so. You can sign the form on the order confirmation page after checkout is complete. Otherwise we will send you an email reminder to sign the CCAF as we cannot process your order without it. To sign the form, you will need to be logged into your account on AVADirect.com. Be sure to check your email for a confirmation. Once you've confirmed your email address, your CCAF will be uploaded into our system automatically. We accept VISA, Mastercard, Discover, and American Express. All credit card transactions are completed over a secure connection. For your protection, we screen orders for potential fraud. Please ensure that your billing address matches that of your payment method to avoid delays in order processing. In order to procure the requested components as soon as possible, AVADirect requires payment prior to building your custom computer. AVADirect offers financing options through Bread, a financing alternative to credit cards and other credit payment products. Click here to learn more. Yes, we offer a secure PayPal Checkout option, and we accept direct PayPal payments. For more information sending payment through your PayPal account, us the Contact Us button. What other options do you accept? We also accept Purchase Orders, Checks, and Wire Transfers. For additional information on those methods, please use the Contact Us form. As soon as we print the shipping label you will be notified by email. The email will contain shipment details, your tracking number, and a link to the selected carrier site. To track the order, click on the tracking number located near the bottom of the e-mail. Do you require signatures on your shipments? Absolutely! All AVADirect shipments are signature required, so please be sure there is someone available to sign for the package on the scheduled delivery date. What if I'm not available to sign for my shipment? If you're not at the delivery location when the package arrives, you can reschedule the delivery, or have it held at a local pick up station. After payment is processed orders take approximately 10-14 business days before stock is procured, the product is assembled, tested, and then shipped. Estimated ship dates will vary depending on the product purchased. If your order is a bulk purchase or you elect one of our many customization options (custom painting, case and computer component modifications, custom wiring, mining configurations, liquid and other non-standard cooling solutions, installation of custom software and operating systems such as Linux and overclocking of system components) it will require additional time, particularly when combined with each other. Estimated time frames can be obtained before and during the order process. I received an email about a quote or order. How can I reply to it or view my messages? Some of our staff may send you messages about your quotes, orders, repairs, etc. You can reply to the message email directly. You can also access all of your messages and reply to them by logging into your AVADirect.com account. Once you are logged in click on My Account in the toolbar at the top, and then Message Center on the left. Your messages will be displayed along with the subject, date and time of message, and the order or quote reference number. Can I make changes to my order after it has been processed? Yes, as long as the component or item has not been physically modified. Please note that order changes will result in a 10% restocking fee for each item that is changed. Feel free to use the Contact Us button at any time to let us know which item you would like to have switched out. Will AVADirect update me regarding my order status? AVADirect does not currently have a real-time status indication system. To find out the status of your order just use the Contact Us form and we would be happy to check on it for you. If for any reason your order needs your attention, we will contact you via email. You can submit a cancellation request via the Contact Us Form. Our team will view your order and determine if it is eligible for cancellation. Some orders, due to customization options, are not able to be cancelled after they've been processed. A cancellation fee of 10% of the order total will be applied to help us cover any costs of restocking the items you selected. When can I get technical support? Our technicians are here to answer your questions from 8:00 am to 6:00 pm Eastern Time and you're always welcome to use the Contact Us form if we're unavailable. Our technicians do their absolute best to make sure every message is responded to within a timely matter. Can I still call Technical Support years from now? Customers who purchased a "Signature Series" or "True Custom" product from AVADirect are entitled to free technical hardware-related support for the lifetime of their product. Customers who purchase a “Mining Configuration” product from AVADirect is entitled to free limited hardware-related support for the first 30 days following delivery. How can I send in my computer for repair? To return merchandise for replacement or repair, please use the Contact Us button located on the left. Be sure to include your Order Number and let us know what's going on. This allows our technicians time to research the issue prior to setting up your RMA. How can I check the status of my RMA? Contacting our Technical Support department will provide you with the most up-to-date information, regarding your RMA. You can reach them by using the Contact Us form. Does AVADirect offer Remote Support? AVADirect can remotely connect to your PC, taking control of your mouse cursor to resolve any complex or frustrating software issues, that may otherwise be difficult to be walked through. You can obtain AVADirect’s Quick-Support module by clicking the following link. Prior to doing so, make sure you have contacted Technical Support so they are aware you wish to proceed with a remote session. How do I activate my copy of Windows? AVADirect's systems are covered by a variety of warranties, depending on the product purchased. The limited warranty covers defects in components and workmanship in our custom built systems for the applicable limited warranty set forth in your packing slip or invoice. For additional information on warranty coverage, please Click here for more details. We currently offer a wide range of warranties for notebooks, barebones, and desktop systems. Select one of the options below for each, or Click here for more details. Before the warranty expires, you must contact our Technical Support department. We will first attempt to troubleshoot the system to determine if any type of part replacement or repair is necessary. If the issue cannot be resolved through this method, AVADirect will authorize that the system or component needs to be serviced. What kind of services are offered under warranty? Can you help me upgrade a part I ordered? If you ordered your custom computer from us, we're definitely able to provide compatibility assistance for any upgrades. Use the Contact Us form to send us your order number and request, so that we may find the perfect upgrade options. Can I exchange my computer for something else? If you're unhappy with your computer and wish to return it for something different you're welcome to Contact Us to begin the Return Authorization process. 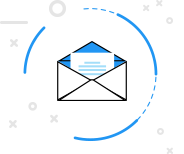 You can use the Contact Us form to request a Return Authorization number. Be sure to include your information so that they can determine if the order is eligible. How do I get a refund on a part? As long as it's within 15 days after delivery, you can use the Contact Us form to request a Return Authorization number. Be sure to include your information so that they can determine if the order is eligible. The return may be subject to a 10% restocking fee. Can I return a computer for a refund? You can return a True Custom PC for a refund as long as it's within 30 days after delivery. The “Signature Series” may be returned within 45 days after delivery. Use the Contact Us form to begin the process. Modified components cannot be returned. True Custom returns may be subject to a 20% restocking fee. The “Signature Series” may be subject to a 15% restocking fee. Tower and rackmount solutions which include three or more graphics cards (“Mining Configurations”) cannot be returned for refund. Yes we do. Since all of our computers are custom built for each customer, having one returned requires quite a bit of testing and inspection, as the hardware is considered used by that point. This fee allows us to properly test the hardware, then repurpose it for internal use. How much is your restocking fee? We have 2 different fees. One for returning custom built computers, and one for returning parts.